Brad Henry put it best that a good teacher can inspire hope, ignite the imagination, and instill a love of learning. Pinnacle Learning recognizes that experienced teachers are a key part of effective teaching. Therefore, Pinnacle Learning only recruits the most talented professionals, highly educated staff, and devoted teachers. Most importantly, all our teachers are bilingual proficient. Meet our talented team that brings experience, nurturing, wealth of knowledge to our school. 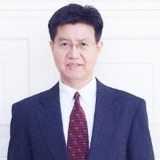 A computer Scientist and Physicist, Dr. Yue is highly achieved and he is a Silicon Valley Technology Innovation Award Winner. Dr. Yue is deeply passionate about science and technology. He believes developing a love for science at young age can help children with a better decision making and problem solving skills. His philosophy is that science should be taught and encouraged through fun, exploration, hands-on experiences, and by using creativity to solve simple problems. 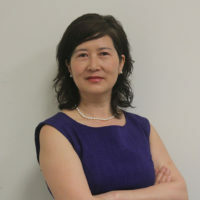 Dr. Yue is Co-Founder of Pinnacle Learning. He holds a Ph.D in Computer Science from University of Illinois at Chicago. He also has a Master degree in Physics from the prestigious university Tianjin University in China. He is both Chinese/Mandarin and English proficient. Bing Durzan is a Business Consultant; she is a resident of San Ramon and wants her son to master the skill of Chinese/Mandarin so he can accelerate in today’s world. She quickly realized there is a shortage of linguistic schools that offers Chinese/Mandarin immersion and Spanish immersion programs. She talked to many parents who were trying to find a place that could teach their children Chinese and realized everyone seemed to be in the same position, parents were: having difficulty finding a suitable school that produces tangible results, and were moving their children from school to school and often driving far distances in the search to give their children the proper education. Pinnacle Learning was born and designed to solve those issues and meet parents’ and children’s needs. Bing Durzan holds a Master degree in Technology Management and a Bachelor degree in Computer Information System. She is both Chinese/Mandarin and English proficient. 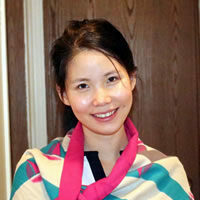 Joanne Zhou is a private sector attorney and a mom of a daughter. She believes that every child is talented and unique, they all possess great potential to succeed. It’s the role of educators to unlock that potential of children and lead them into the right direction to be an avid learner. 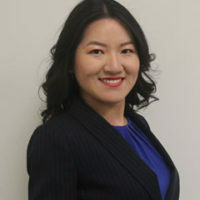 Joanne Zhou earned a Bachelor degree from China University of Political Science and Law in Beijing. She continued her education in the U.S. and graduated from Indiana University Robert H. Mckinney School of Law, J.D with a Doctorate degree. Joanne Zhou is both Chinese/Mandarin and English proficient. She serves as a Board of Director at Pinnacle Learning. 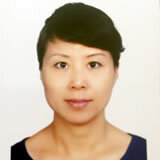 Irene Zheng is a very warm and caring teacher, and a loving mom. She is very creative in her teaching approach, and she has a way of making the classroom filled with fun, enthusiastic energy and stimulating atmosphere. She believes that language is best taught when it is being used to transmit messages, not when it is explicitly taught for conscious learning. Her philosophy is that children are learning without even realizing they are learning. Ms. Irene holds multiple degrees and language certificates including a Master Degree in Education and a Bachelor degree of Arts – Teaching Chinese as a Foreign Language, Grade P-12 World Language (Chinese) teaching license and TESOL (Teachers of English to Speakers of Other Languages). 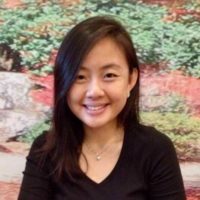 Ms. Irene is also a credentialed teacher who has been Designing Chinese Immersion Programs for a top rated private school as well as Teaching Chinese for the past 5 years. Irene Zheng is both Chinese/Mandarin and English proficient. Jennel is a well-trained and credentialed teacher, she has spent a better half of the last decade in the classroom working with students. She taught in a renowned school in Singapore and was the Level Head of the English Department. She has a rich experience in the development and refinement of new approaches to teaching, assessment and curriculum. Jennel received her Bachelor Degree in Science (Honors) from National University of Singapore and PGDE (Post Graduate Diploma in Education) from National Institute of Education, Singapore. Her teaching philosophy is student centered classroom. She believes that every child is unique and learns differently. It is therefore important to teach in a way that employs a variety of teaching strategies that delivers results and instill the love of learning. In her free time, she volunteers as an ESL tutor. Jennel enjoys the outdoor activities and is passionate about cooking. She is both Chinese/Mandarin and English proficient.